Oh I love roses. I’m living in an apartment with a balcony and I’m wondering if I can plant roses in the big pots that I’ve brought with me…. I’m adding this macro shot to Jude’s Macro in the Garden challenge – please go and see Jude’s blog for some wonderful garden photography. Thanks to Robin at Reflections for my Soul and Pauline from Gypsy Life for nominating me to do the Seven Days of Nature challenge. If you haven’t already, please go ahead and visit them to see some wonderful shots. Today, I’d like to nominate Tildy from The Beespeak to join the challenge. 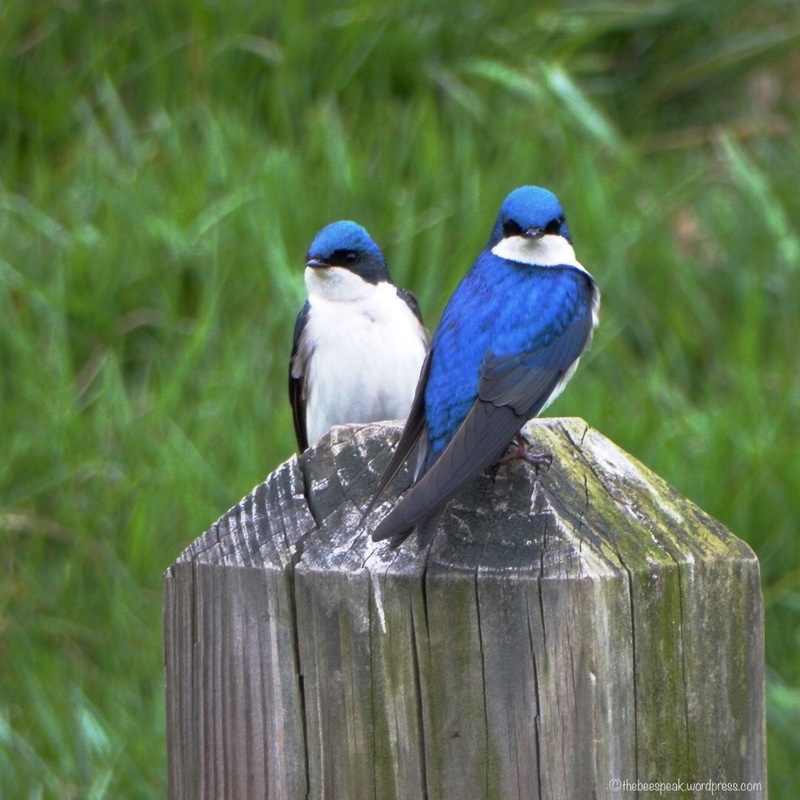 She has a knack for finding and photographing birds and the above link will take you to some great shots of Tree Swallows in the park. Thanks so much. Another favourite of mine. From my old garden. I think I’ve decided it has to roses in my pots on my terrace. Perfect crop, colour and composition. It’s beautifully serene and the sidebar works stunningly. Oh thank you Meg. I just adored shooting this little bud. Why, thanks so much Britta. One of your favourite colours DJ and I can almost smell it from here. Me too PP. So pretty. In my old garden. I’ve seen roses being lovingly tended in pots on balconies in Japan, but it isn’t as easy as it looks to keep them happy. If you’ll be frequently flying when it’s hot, they’ll be better if you can water them on a timer. But good luck! I love the picture. Thank you! I think I’ll try it. Such velvety texture on these delicate pink petals! Fantastic shot! The texture jumps out on your wonderful photo. Just lovely. Thank you Ruth. I loved this little rosebud. I grew roses in pots on my patio. Of course it doesn’t get as hot here as it does in Melbourne but it depends on how much sun your balcony gets or whether you can erect some shade netting? And of course I love this shot. What a pretty colour. Thanks so much. I will have them in pots in the 4 corners of my gazebo. Which has a cover. I’m going to try it, see how it goes. Why not! If they don’t thrive I am sure you will find a good home for them. Such delicate petals! So pretty. Thanks for nominating me for the challenge; just so you know-I didn’t get a notification but just happened upon it when I read your post! It sounds like fun so I’m in. Your photos have been great! Such a beautiful, delicate pink! Although I had first seen this shot on IG and I’m not less impressed now. Absolute beauty. Only you can do such perfect macro shots. Thank you so much. This is one of my favorites. Thank you. I really love this one too.